the end of 2017, I made a pledge. I challenged myself to review good books every month in 2018, particularly books that haven’t gotten as much love as I feel they deserve. 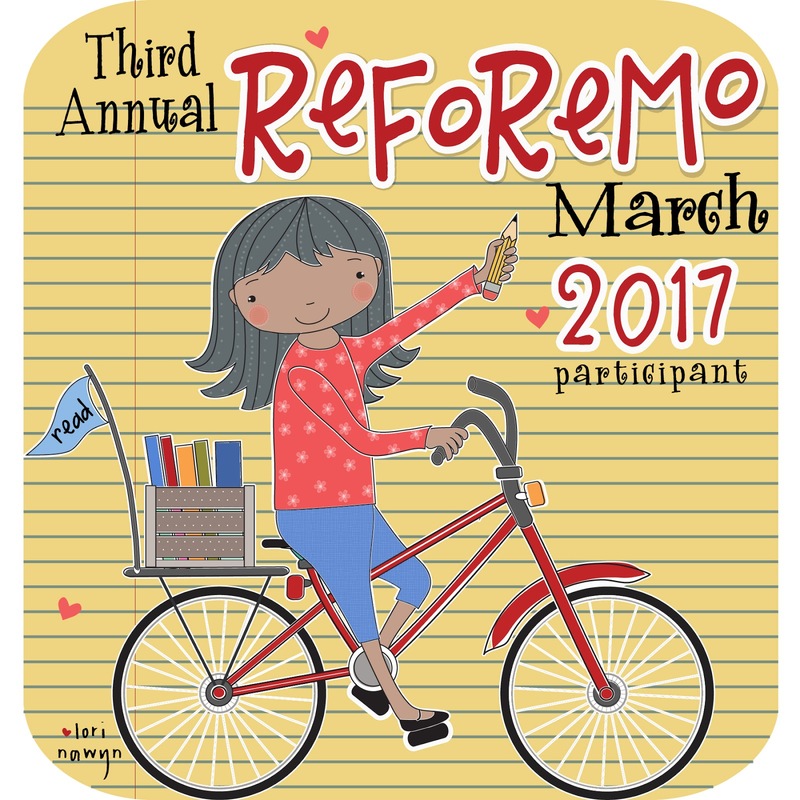 I call it Kidlit Karma because I’m aiming to spread the love for books that I love. If you follow me on Instagram, you’ll know that I moved into a new house earlier this month. Lucky for me my critique partner and fellow kidlit writer, Katherine Rothstein, has agreed to share her summer kidlit reading list for this month’s review. You can follow her on Twitter at @krothsteinslp2. I am a huge advocate of rhyming books for all ages but especially for children under six years old and emerging readers. Rhyme is an essential phonological awareness skill that is necessary when learning to read. Our brain best learns new words and information by classifying into categories. If a child can read Cat, they should also quickly learn Hat, Bat, Fat, Mat, Rat, and Sat. Plus, rhyming books are fun to read aloud! MONSTER’S NEW UNDIES is adorable! Your tush will fall in love with this sweet little monster on a search for new undies. ONE BIG PAIR OF UNDERWEAR will show you that it is fun to count and share, and it all starts with one big pair of underwear. Here are two that are laugh out loud funny. They teach a basic concept of opposites. They also offer fun and colorful illustrations to capture the attention of non-reading listeners. These are a hit with my reluctant reader. They have more text than early readers, deeper plots and fun illustrations to support the story. Best of all, they are hilarious! A wolf, a piranha, a snake and a shark make up this Bad Guy team. They plan and execute missions to support their new image of being good. Full of humor to make any kid chuckle. Narwhal and Jelly are awesome friends with big imaginations. This book has real fun fish facts and a waffle who battles a robot. Yep, all that excitement packed into 65 pages! Okay, so these two favorites do not check the funny column, but they are sure to make you smile. And, who can resist a heart-warming story of friendship between a dog and their person? Chester wants to be a service dog but fails his certification. A family adopts him in hopes that he will be a companion to their 10-year-old son with autism. Chester is lovable, smart and determined to find a way to connect with Gus and find his fit in this family. There is a reason this book has received so much attention. The author has a way of making the characters come to life. A brilliant story about forgiveness and friendship. Have a fun summer and happy reading! It’s that time again! Time for me to gush about some of the books I read this year in the hopes you will buy some. Lucky for you, that makes gift giving easy. Books make great gifts for kids and with so many new and classic books, you can find something for every kid. I’ve broken down the book recommendations into helpful categories. 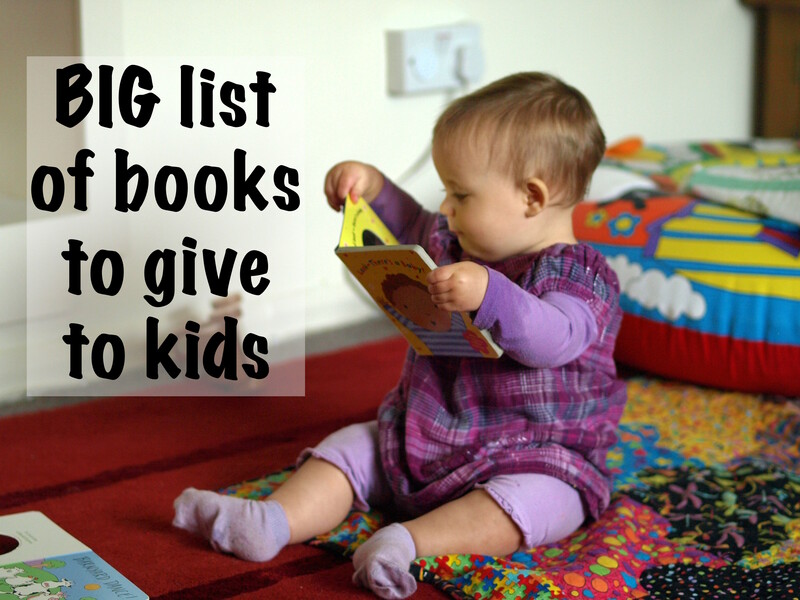 These let you find books that are appropriate for the age and reading ability of the child. If you want to get into the nitty-gritty of how children’s books are classified, check out this post. For independent readers, this guide will help you determine if a book is appropriate. You can also check out the lists for 2015 and 2016. No one is too young for a book! Nothing says love more than cuddling up in the lap of a grownup and listening to a story. And since reading to children is the number one best thing you can do to promote school success, you’re also making an investment in their future success. These books have stiff, durable pages perfect for the littlest readers. These picture books are perfect for kids that are ready to graduate from board books. They have shorter texts (to match short attention spans) but big humor. These are a great fit for preschool through lower elementary. These texts are a tad longer. Perfect for the slightly older kid that still loves picture books. Kids can begin listening to chapter books as young as preschool or kindergarten. These books have short chapters and pictures can help ease the transition. They’re also free of mature or scary content. These books are great for kids that are still learning to read. These are arranged from easiest to hardest. Choose the one that seems just right or a little ahead of where your reader is currently. Is That Wise Pig? and Jan Thomas’s other books are always a big hit with my kids. Ballet Cat: What’s Your Favorite Favorite? Comics and graphic novels have been the gateway to reading for many kids. Apparently, I didn’t read many graphic novels this year, but what I lack in numbers I make up for with quality. I love all the books in this series (and stalk Drew Brockington’s twitter to find out when there will be more). The one category where I read significantly more than in any previous year: middle grade. Middle grade is the term for upper elementary to middle school readers. I tried to thin down this list. I really did. But…. I can’t. #sorrynotsorry To help you sort through, I’ve added the genre of each but these should be taken with a (large) grain of salt. There is only one book on this list, but it was the most powerful book I read all year. If you’re only going to read one YA novel all year, let it be this one. It’s a great time for people that love nonfiction. There is some terrific nonfiction out there right now. This list was just as hard to thin down as the middle grade novels. After each book, I’ve listed the age category. PB = picture book and can range from preschool to upper elementary. MG = middle elementary to middle school. YA = middle school to teen. Still looking for inspiration? Check out these 500+ Great Kid’s Books. Note: I get no compensation for making these recommendations. I just really, really like books. Help! How Do I Find Books for My Child? Kids in middle to late elementary seem to inhale books. Parents often find that keeping their child supplied with books is an impossible task. How can a parent tell if a book is going to be appropriate? Is it the right reading level? Will there be content that is too mature? Mature content is especially a problem if your child reads above their grade-level. A child may be capable of reading a book but not have the emotional maturity to handle it. Imagine a sensitive 8-year-old reading the death scenes in the Hunger Games. I’ve gathered together some resources to help you wade through it all. First, you can check out lists of book recommendations. I read widely, and every year I made a list of my favorite books from the year. Check out the lists from 2016 and 2015. Second, I also have a Pinterest board full of book recommendations. Need ideas for a 2nd grader? Or books set in Asia? Or adventure books for girls? Books for reluctant readers? Scroll through, and you’ll probably find something. Ok, but how can I tell if the reading level is right? If your child’s reading-level is different from their grade level, then recommendations for their grade may not be a good fit. The Accelerated Reader website lets you search for books. It tells you the reading level and word count for each book. Not every book is listed, but most often I can find what I need. Let’s look at a recent favorite of mine: The Hate U Give by Angie Thomas. The ATOS level is the grade level. In this case, this Young Adult book is readable to a student who is in the 9th month of 3rd grade. Other things to note are the Interest Level and Word Count. The language of this book might be understandable by a 3rd grader, but it is interesting to a much older child – 9th to 12th grade. Plus, I don’t know any 3rd graders that wouldn’t balk at the sheer volume of a 95,000-word book. Here the book is a bit more balanced: The reading level is later in 4th grade, and the interest level is 4th-8th grade. The length is also better for a 4th grader at 73,000 words. But how do I know what my child’s reading level is? You have a few options. You could grab a stack of books that your child read recently, and look them up on the Accelerated Reader website. Get an average of the ATOS level, and you’re good to go. The Scholastic website also lets you look up books to find their reading level. It uses a different measurement of reading level: Lexile scores. Lexile scores are widely used but don’t translate easily to a grade level. You could give them a test such as the reading level test on the free website Moby Max. You will need to make an account, but the website is free to use. Great. Now how do I tell which books are appropriate for my child? At the top, there’s a rating of quality (5 stars) and approximate age appropriateness. The age rating takes into account both reading ability and mature content. As we saw before, The Hate U Give has a low readability level, but the high-interest level bumped it up here. Further down, it breaks down mature content by type. You can click on each to get more information. The “What Parents Need to Know” section, gives you an overview. Reading over this, I could tell that this is a powerful book that would be perfect for a high schooler or mature middle schooler. Now let’s look at our other book example. Wonder is a better bet for an elementary school child. The rating of age 11 reflects that there is some minor mature content (bullying and kissing). Though I read a lot of children’s books, I still have to use these tricks to help my kids. Hopefully, now you feel confident helping your child find books. Do you have any tips or tricks to add? I’ve written before with book recommendations for the gift-buying holiday season. Funny thing, though, they keep publishing new books. Also there are still existing books out there that I’ve never read. (Amazing, I know.) Which means, this year I can write a whole new list! If you’re not sure what kind of book is best, check out this comprehensive blog post about picking the right book for the kid in your life. Babies love books. What’s better than cuddling up with a favorite grownup to read a book? These books have stiff, durable pages and short texts for baby bookworms. These books are for babies and toddlers who want to move and do. Built-in actions help squirmy kids focus and sturdy pages help books last. Preschoolers love pictures books. These favorites have short text (for short attention spans) but big humor and adventure. Ada Twist, Scientist A new book in the same series as Rosie Revere! When your child is ready for something a little meatier, try these classic books. They’re also free of scary or mature content that wouldn’t be appropriate for young listeners. A Bear Called Paddington and all the other Paddington books. These shorter books are light on content but heavy on entertainment. That makes them the perfect place for a new reader to flex those reading muscles. Hi! Fly Guy and the rest of the Fly Guy series. This series is more advanced than simple easy readers. Great for kids that aren’t quite ready to jump into reading chapter books. Kids that are ready to read longer books but aren’t ready for novels will love these shorter chapter books. Most teachers (and authors!) believe that kids that don’t like to read just haven’t met the right book yet. Some kids also get stuck because the books at their reading level just don’t appeal to them. Do you know what almost all kids love? Comics. Know what’s easy to read? Comics. Know what builds reading skills? Reading comics. If you’ve got a bigger kid that’s comfortably reading bigger novels, these are the books for you. These books have more adventure and scarier villains suitable to bigger kids. So far I’ve listed all fiction books. There’s a reason for that. Most kids like a good story the best. Some kids love true stories best of all. The holidays really snuck up on me. I was lured into a false sense of security by the bizarrely warm weather. Now the soul-suckingly cold weather has returned and I just realized Christmas is less than a week away. If you’re scrambling for last minute gifts for the kids in your life, you’ve come to the right place. Books make amazing gifts for kids. But the kid’s book market can be a bit dizzying. So let’s make it easy. Babies love books. They get cuddles and attention from their favorite adults. The get to learn about the world around them. They’re also great for teething….. I recommend board books with stiff, durable pages and short texts for baby bookworms. They’ve just learned how to use their bodies so they want to use those newfound skills. A lot. Don’t fear, in a few short months they’ll want to cuddle again. Until then offer books that appeal to their desire to move and do. Durability is still important while they learn the fine art of turning (not tearing) pages. Big kids enjoy longer texts and a bit of humor. These books are tried and true favorites. Picture books aren’t just for little kids! Even kids that are reading themselves will enjoy these longer picture books. And it’s beneficial, even for kids that are already reading. Most kids will enjoy some longer, more complex stories when they are in preschool or kindergarten. At least some of the time. These chapter books are shorter with some pictures to help along the listener. They’ve also been chosen to have mild, non-scary content. When your child is ready for something a little meatier, try these books. These classics are much loved in our house. They’re also free of scary or mature content* that wouldn’t be appropriate for young listeners. * I adore Anna Hibiscus. Adore. The characters and stories are hilarious and beautiful. I also adore that the author tackles big issues like poverty, inequity, and race in a way that isn’t scary for young kids. Even my very sensitive 4 year old was able to handle the content in this book. Use your judgement. Reading is a skill. It takes a lot of practice to master. These shorter books are light on content but high on entertainment. That makes them the perfect place for a new reader to flex those reading muscles. The first chapter books for reading aloud are also great for kid’s just starting to read. Most teachers (and authors!) believe that kids that don’t like to read just haven’t met the right book yet. Some kids also get stuck because the books at their reading level just don’t appeal to them. Do you know what almost all kids love? Comics. Know what’s easy to read? Comics. Know what builds reading skills? Reading comics. These books may not be high fiction but they’re a lot of fun. And comics have been the gateway to reading for many kids.